The map shows casualties in the three affected Governates and the Mukalla City District. It also reports on some health facilities affected by cyclone Chapala. 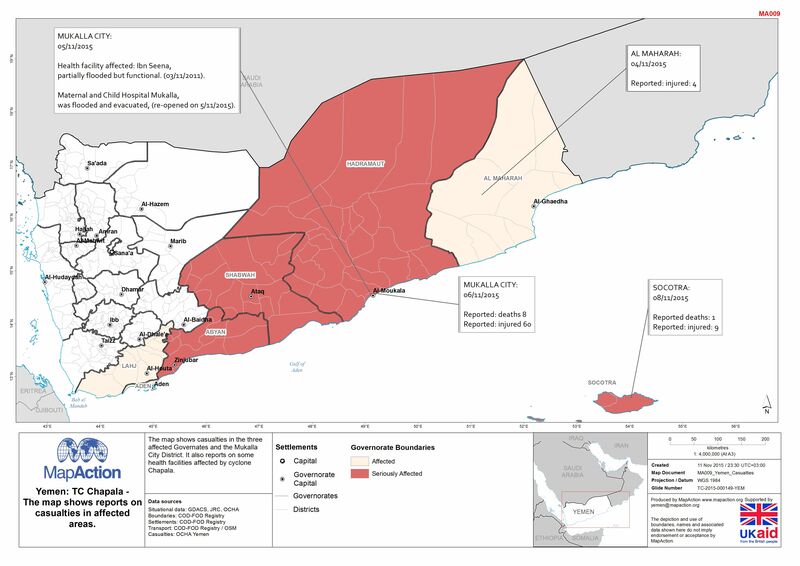 Yemen: TC Chapala -The map shows reports on casualties in affected areas. 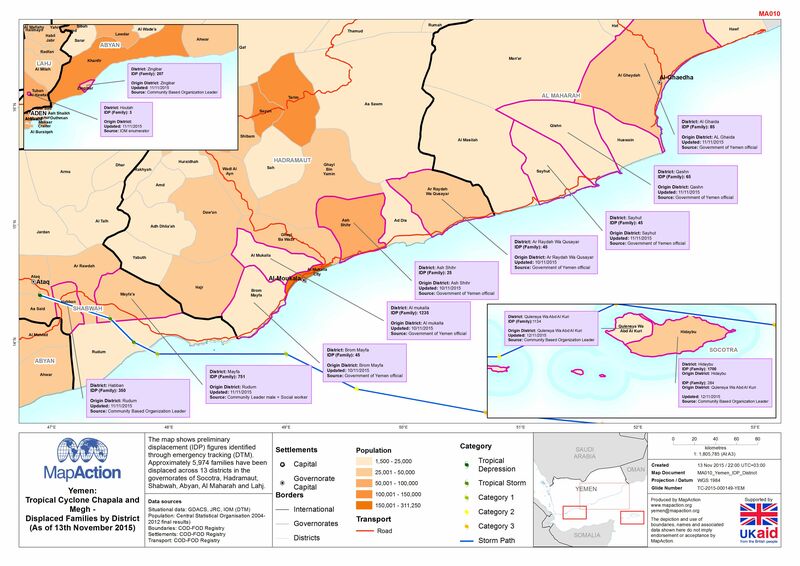 The map shows the affected areas from the Tropical Cyclone Chapala by Governate area. It also shows the track of Chapala (2-4 November) and Megh (5-10 November).